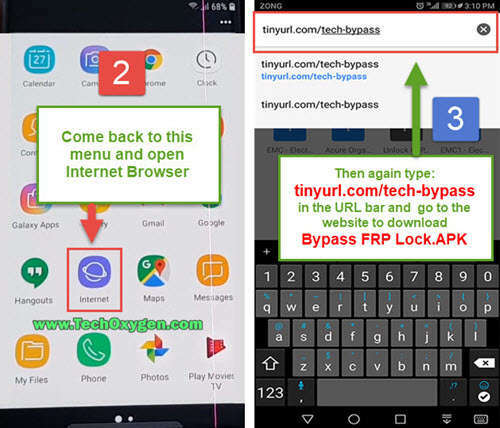 FRP bypass apk download free to protect your device against FRP lock activation and this application also helps you to remove FRP lock from android devices for free. What comes as a great news is that since the release of the Android 5.0 Lollipop, Google has brought up a new feature named Factory Reset Protection. It is well known that the feature is capable of protecting the private data of the esteemed users, it can be of great worth if you’ve misplaced your phone or it has been stolen. 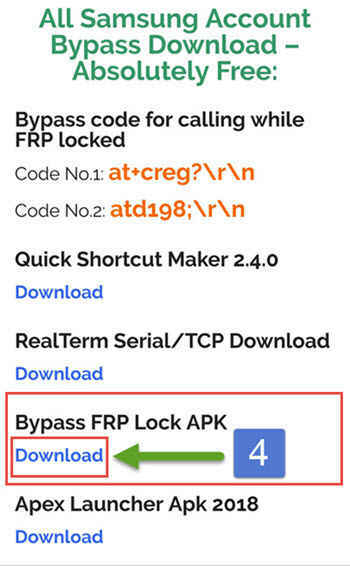 Fortunately we have “FRP bypass apk” android application to deactivate this security lock from any android device. But the alarming fact is that there are numerous Android device users that are experiencing the problem with the feature. There are cases where people have forgotten their Google and even the Samsung account credentials prior to the hard rest of the respected devices. “FRP bypass APK” is available at your disposal when it comes to restoring your phone. We’ve covered those with regard to the Samsung devices especially. 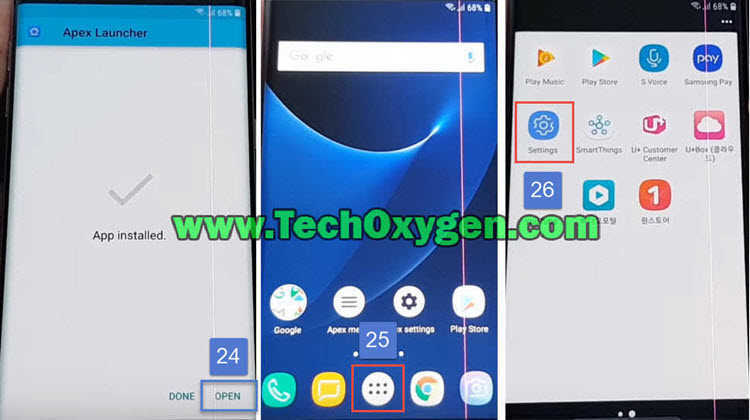 The majority of the bypass methods available are based on FRP bypass technique which involves getting into the phone’s settings so that you can Wipe or Erase the data which includes the Google or Samsung’s credentials as well. If you’re reading this article, it is most obvious that you must have locked your smartphone or tablet device. You can perform the unlock task with the aid of bypassing FRP by installing the ‘FRP Bypass apk’ file which has been provided by TechOxygen. 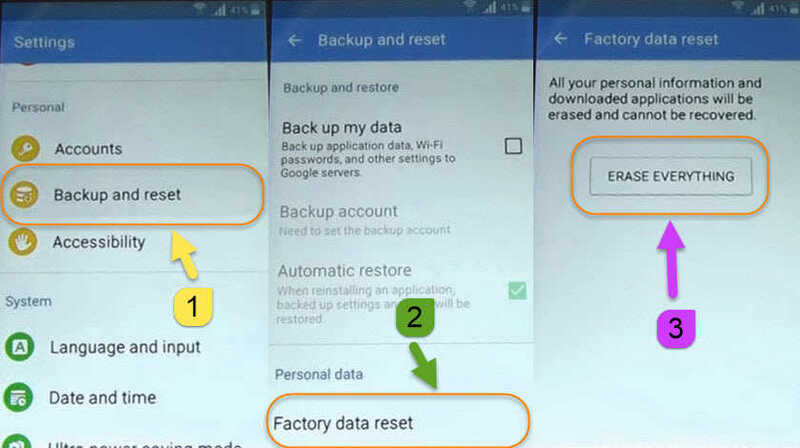 Factory Reset protection (FRP) this is a protection measure used on Android smartphones these days, that prevents the stolen device from being used. In other words the security lock that guards and protects the important data and files of a user. 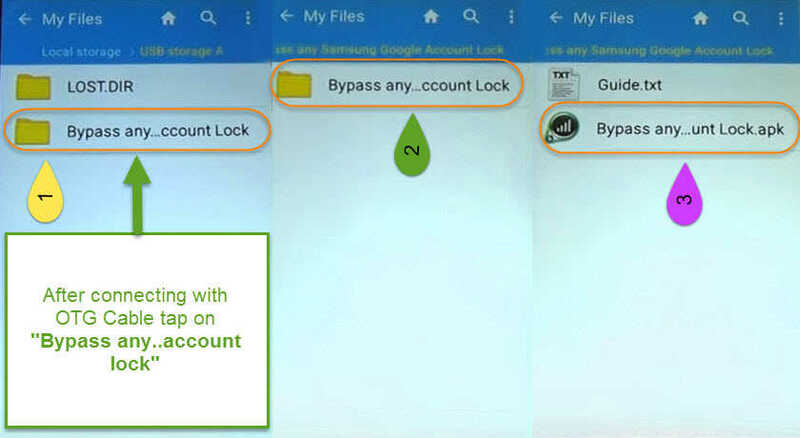 To deactivate this lock security lock, factory reset protection aka FRP we can use FRP Bypass APK this will help to remove the lock completely from any android device. The FRP lock is introduced by the Google to protect user data. This lock activates automatically when a hard reset or factory data reset is performed. There are several ways to bypass this security lock. We will be discussing and showing you how you can download FRP Bypass APK for android in 2018, to bypass Google factory reset protection. 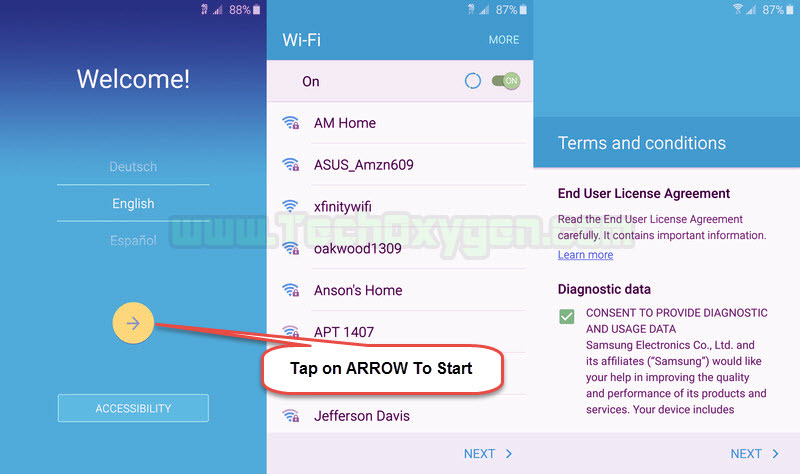 In addition to enable you install and download the “FRP Bypass APK”. Smartphones and other android devices face many problems however; the factory reset is a general solution. When you factory reset your phone, all the data on the phone is deleted and the phone is left empty with no data. Immediately when the factory reset your phone, all the data on the phone is erased and the phone is left empty with no data. Follow the given guide below to deactivate the Factory Reset Protection (FRP) lock. When you are through with the factory reset, and you want to access your phone, you are supposed to enter your Gmail ID and password. In case you forget your Gmail ID and the password, you need not to worry since there is an FRP bypass method which can be used to Bypass FRP lock completely. It’s very important to learn and know the importance of FRP bypass application before downloading it. The FRP Bypass APK is developed to bypass FRP lock with the help of proper instructions and step-by-step guide. Forgetting your password or account name could cause many problems. The factory reset protection is very good since it protects your device from being accessed by unauthorized person e.g. thieves. Though it is so sad to forget your Google account password after resting the device yourself. Fortunately, the problem is manageable. All that you are required to do is to download the FRP removal application and carefully follow the procedure provided by us. 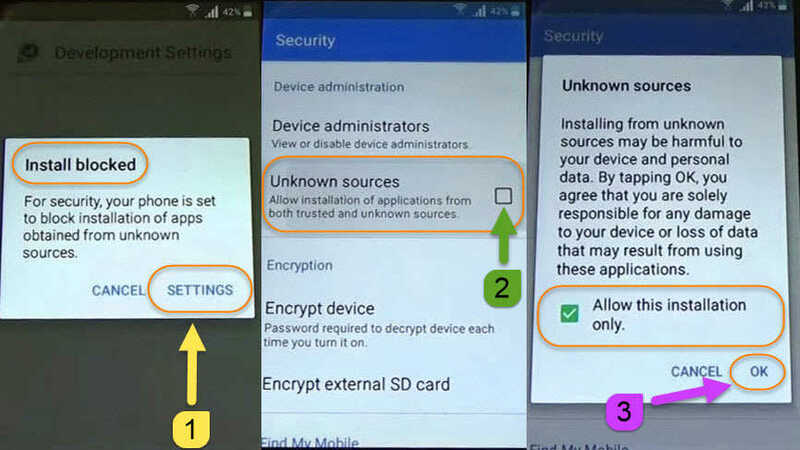 The discussion below is about how FRP Bypass APK works to deactivate Factory reset protection lock. In order to access the Google Factory Reset Protection (FRP) Bypass, you are required to use the FRP bypass app. This is the only way you can complete these task. The process of downloading the FRP Bypass APK is very easy and uncomplicated. To begin with, download the FRP bypass application to your PC. Transfer the application to the USB drive. Connect the other side of the USB drive to the OTG cable. 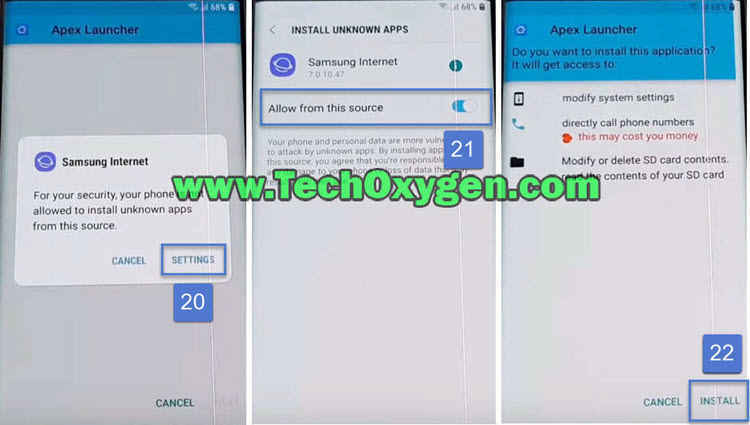 The above was just guidelines on how to download, Factory Reset Protection (FRP) Bypass APK and set it up with the OTG cable to use it in the procedure. 1st Method: How to Bypass FRP lock with FRP Bypass App? We can now talk about on how to use the Factory Reset Protection (FRP) Bypass app on your Android device. There are different ways and methods you can use and manage to bypass FRP lock. Nevertheless we are going to discuss one of the best method one uses to perform the task. 1st Step: The first step is to download the “FRP Bypass APK” file; you will be required to transfer the file to the USB drive. Put it on your device and connect it with the OTG cable. Turn on your android device, follow the initial setup. Once you see Google Account Verification screen, at this point. 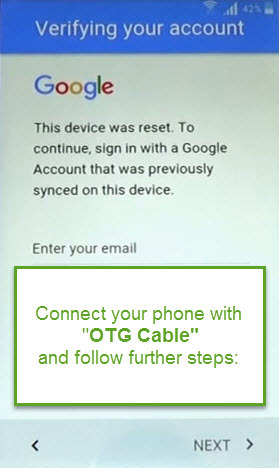 Connect the other side of the OTG cable to the android device. 2nd Step: Then you will have access to the file explorer to install the FRP bypass application to your phone. 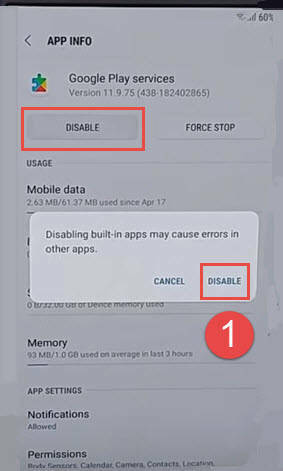 Select the application and install, while installation the application, you’ll see a warning message on your screen.This might block the installation of the apps from unknown sources. Nothing to worry about, all you need to do is go to the device settings and enable the option of the unknown sources. 3rd Step: After enabling the unknown sources, the Factory Reset Protection FRP Bypass apk installation will be complete. All you will be required to do is to tap on the open button. 4th Step: This will automatically moved you to the settings of your smartphone. Now you can Factory Reset your device to remove the previous synced Google Account completely. Afterward you’ll be able to access with a new Google account from the initial setup of your phone. How long does it take to bypass FRP lock? After you are done with download FRP escape apk. It will be very easy to bypass FRP lock. Following the above procedure, it is very easy to bypass the Factory Reset Protection on your device. This is the easiest way to do FRP Bypass with an FRP bypass apk. Having followed the guidelines carefully, I believe you will be able to solve most of the challenges you might encounter smoothly. As a matter of fact, Android is changing and increasing its security with every new update. In the hope that you’ve successfully bypassed FRP lock from your device. In case the first method didn’t work for you, follow this 2nd frp bypass method as this will definitely remove Google verification lock from your phone. 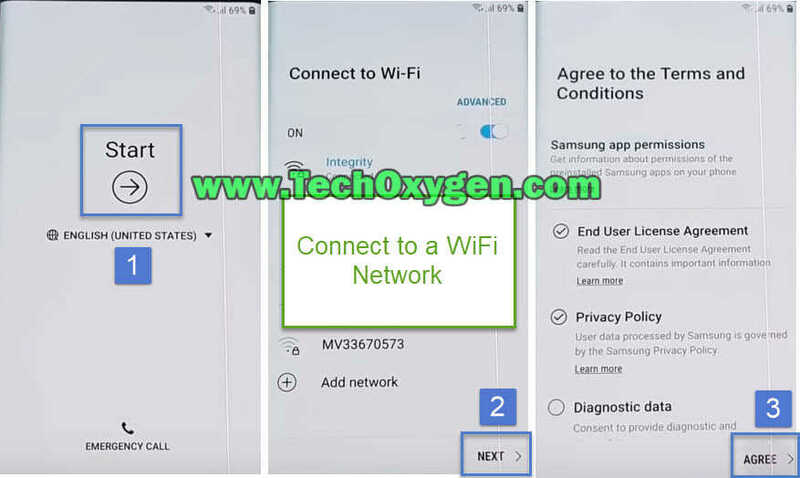 Step # 1: Tap on Start > Connect with a Wi-Fi network > Agree to terms and conditions >. On Verify your account page, push HOME Button 3 times rapidly to activate TalkBack Tutorial > then draw L shape on your screen using your finger. Drawing L shape will show you Global Context Menu and then tap on TalkBack Settings twice >. 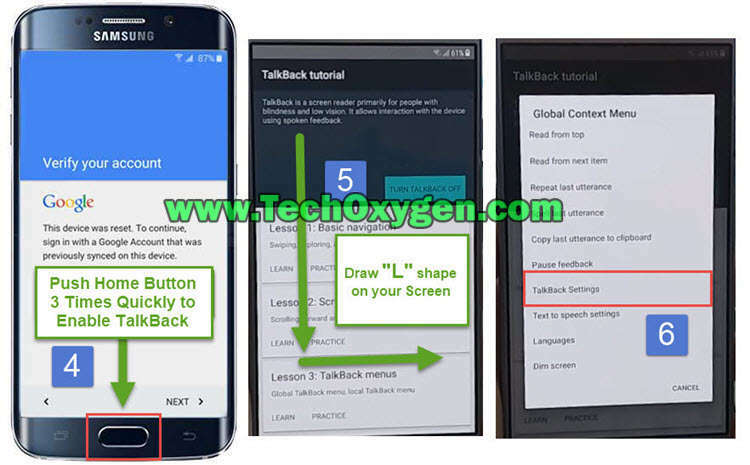 Step # 2: As a result TalkBack Settings page appears, now push Home button 3 times again to deactivate TalkBack. Scroll down and select Help & Feedback > then tap Get Started with voice access. 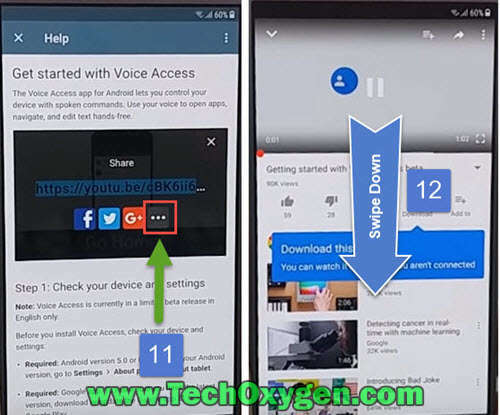 Inside Get started with voice access, tap on YouTube play button and then you’ll see Share Icon then tap on it. Inside Share options, tap on … three dots and this will open YouTube for you. Swipe down to go the the Home page of YouTube. 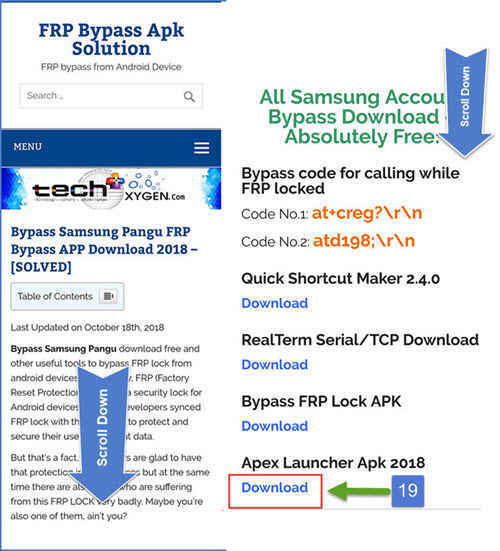 Step # 3: FRP bypass apk solution website will open, scroll down until you see All Samsung Account Bypass Download heading. Then download Apex Launcher Apk > and Open it. Open Apex Launcher, this will open Home Screen of your android device > Go to Settings >. Inside Settings of your phone, scroll down and select Lock Screen and Security > then Other Security Settings > then Device Administration. Deactivate Find my device then go back to the Settings again >. [In case you don’t have Find my Device in your phone, just move to the next step]. Step # 4: Go to Apps > tap on “:” three dots at the top right hand corner of your screen. Click on Show System Apps > then scroll down and find Google Account Manager > tap on it and go to Storage>. Clear Data > tap on Delete > then go back and DISABLE the Google Account Manager and go back to Apps <. 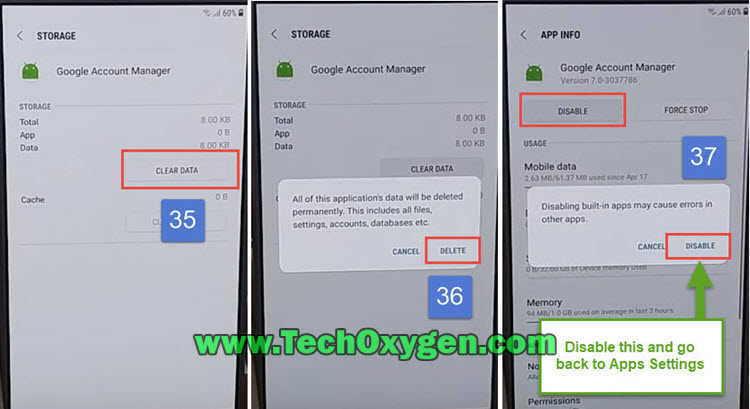 Open Google Play Services from apps, go to its Storage > Manage Storage > and the Clear All Data>. Step # 5: Disable Google Play Services also after clearing all data. 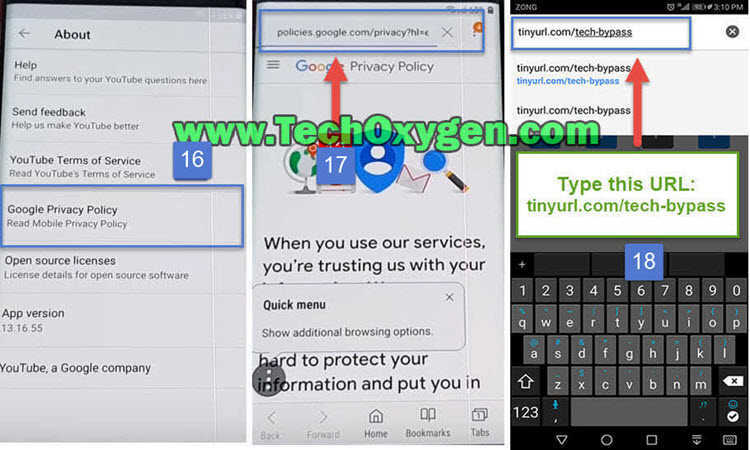 Once you disabled the Google Play Services, Go back to the menu of your device < and open Internet Browser and again type tinyurl.com/tech-bypass and press enter. 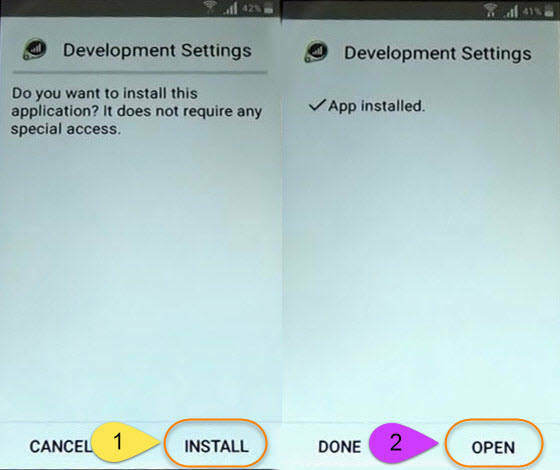 Step # 6: After downloading, install bypass FRP lock apk. In case you see Install Blocked message. Go to settings and allow Unknown Sources and go back to Install the Bypass FRP lock application. Tap on Done once installation complete. Then move back to Settings and go to Cloud and accounts > select Accounts > and then Add Account >. From Add account page, select Google > now you can add your own Google Account using this page. Add your Google ID and Password to login >. 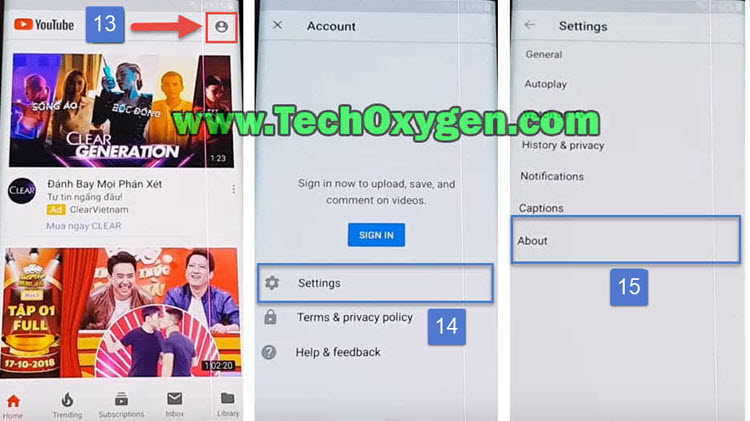 Step # 7: After Signing in with your Google account details, Go back to settings of and open Apps then where you see All Apps tap on it and select Disabled option. Enable the Google Play Services again this will activate your added Google account into your phone. 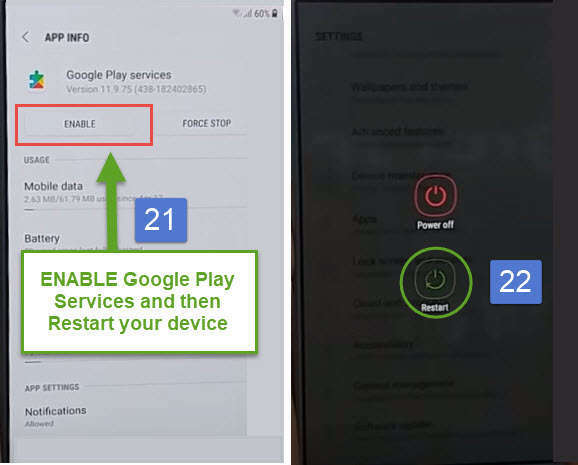 Just after enableing the Google Play Services, push Power button and Restart your android device. At the present time, once your device restarted you can complete the initial setup of your device. I’m sure the Google verification lock will not appear during the initial setup and you can use your android phone again. The Factory Reset Protection (FRP) is very important on your devices. It works very well on all devices. The FRB Bypass APK download 2018 is well-matched with most of the devices. Therefore, it’s efficient and works so well. However, the app operates well and it’s more compatible and runs smoothly to modern Android devices. Having followed the guidelines carefully, I believe you will be able to solve most of the challenges you might encounter smoothly. The app doesn’t matter on the type of brand your device is using. What matters most is only that the device has to be an Android simply because this works better for such devices. Downloading the Factory Reset Protection is free. You are not supposed to pay anything to access the app in your device. As we all know the Android has been always at criticism for being less secured, the Android developers have worked continuously to make the platform safe and ensure the protection of the users. Downgrade the Android version on your smartphone, tablet or any android device. The methods we have released were all working on Android 5.0-5.1.1, Marshmallow 6.0-6.1.1 and even on Nougat 7.0. So, even after applying the FRP avoid method and your device still having the google verifying page lock. There is only one thing remains which is Downgrading the android version, we found that if a device downgraded to a lower version or old security patch the same method works for it like a charm. Then follow the same method and we assure you will be successful to remove FRP from your android device completely using FRP Bypass apk.